Want to uncover all of Seville´s hidden gems? Get 4-star comfort and luxury in the heart of Seville´s famed Triana neighbourhood. 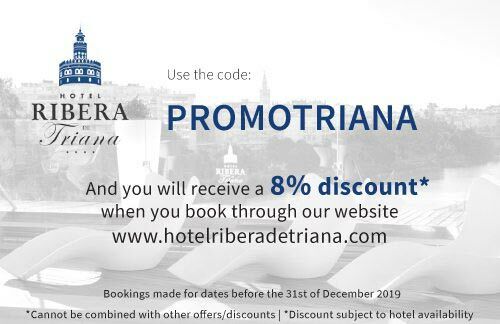 8% discount* on bookings made for dates before the 31st of December 2019. *Discount subject to hotel availability.